The MI-SBDC network provides a full range of services and tools for small businesses emerging and growing in Michigan’s 83 counties. 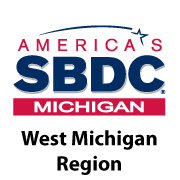 MI-SBTDC has formed their organization into four teams dedicated to provide expert assistance to the individual needs of Michigan’s small business. With offices statewide, the MI-SBDC positively impacts Michigan’s economy by strengthening companies, creating new jobs, retaining existing jobs and assisting companies define their path to success. We invite you to explore the MI-SBDC website to learn how the SBTDC can assist the needs of your current or future business.